I know, I know, there’s snow and freezing temperatures all over the country, but nonetheless, pepper gardeners should always plan before they plant. 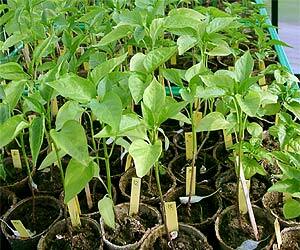 The planning involves many elements: the varieties of peppers to grow, other vegetables and herbs in the garden, the type of garden, and the preparation of the garden before planting. Seed and live bedding plant catalogs offer a far wider choice of varieties than seed and plant displays at local nurseries and retail shops. Catalogs are also the most dependable source of new varieties, and many of the seed companies offer what they call proprietary cultivars, varieties that are sold exclusively by one company. Often, these proprietary cultivars are hybrids, second-generation crosses that must be hand-pollinated each year. Seed catalogs also offer better access to the All-America Selections, which are varieties chosen by experts as the all-around best. 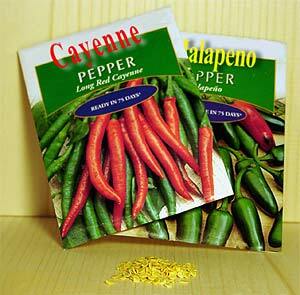 Read the complete article, “Selecting the Right Peppers for Your Garden,” here.